Okay, here are the garlic dills I promised a couple posts back. I figured I’d better get them on the blog before I lose the tiny scrap of paper I have the recipe written on. It’s a small miracle I found it today. Very small, I realize, as miracles go. As you can imagine, these are great on sandwiches, especially tuna, and burgers. I also whipped up a super quick tartar sauce for fish sticks by chopping up about 1/2 cup of the pickles, complete with the onions, garlic, and dill, and adding them to about 1/2 cup of sour cream. I know a true tartar is made with mayo but I can’t stand the stuff – go ahead if you must. 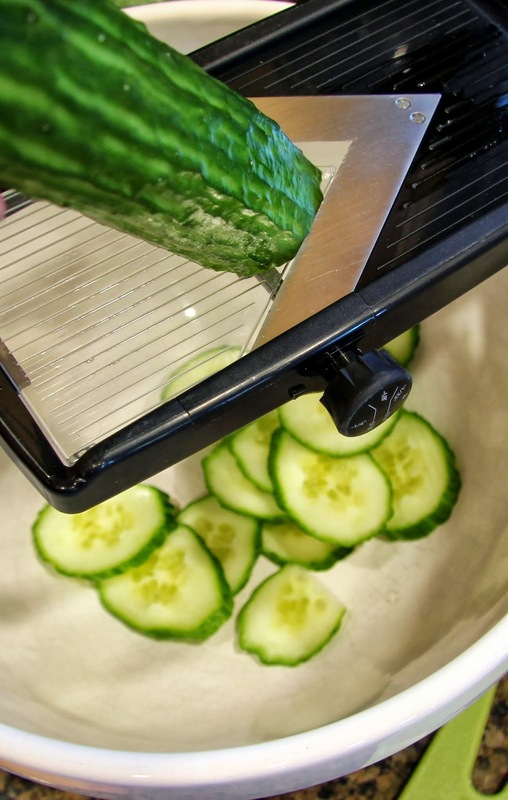 You can slice the pickles any way you want, even leave them whole if they are small pickling cucumbers. 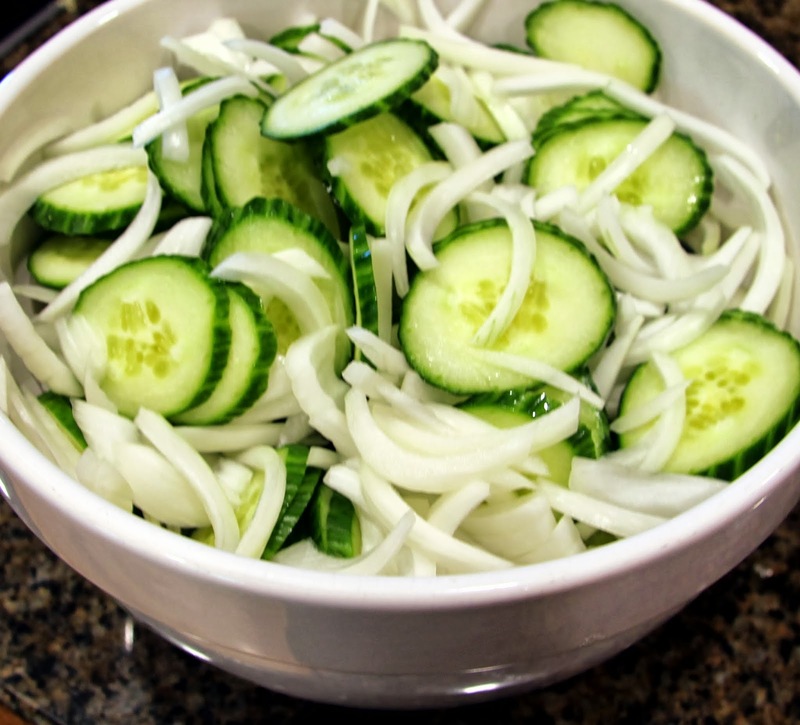 Also, feel free to adjust the ratio of cucumber to onion. 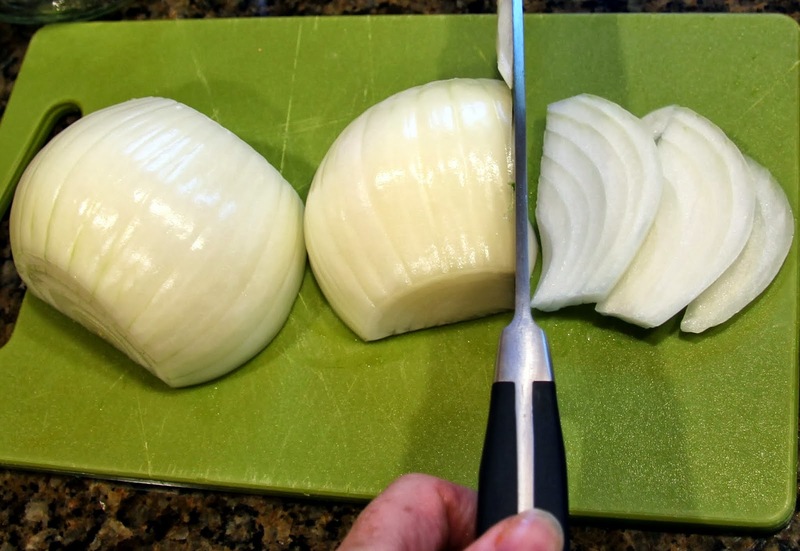 I tend to go heavy on the sweet onion because I think it’s every bit as fantastic pickled as the cucumber. Place all of the ingredients for the brine in a medium size, non-reactive saucepan, (that means no aluminum or copper, stainless steel is your best choice). Stir to combine then, on medium high heat, bring to a boil before pouring over vegetables. 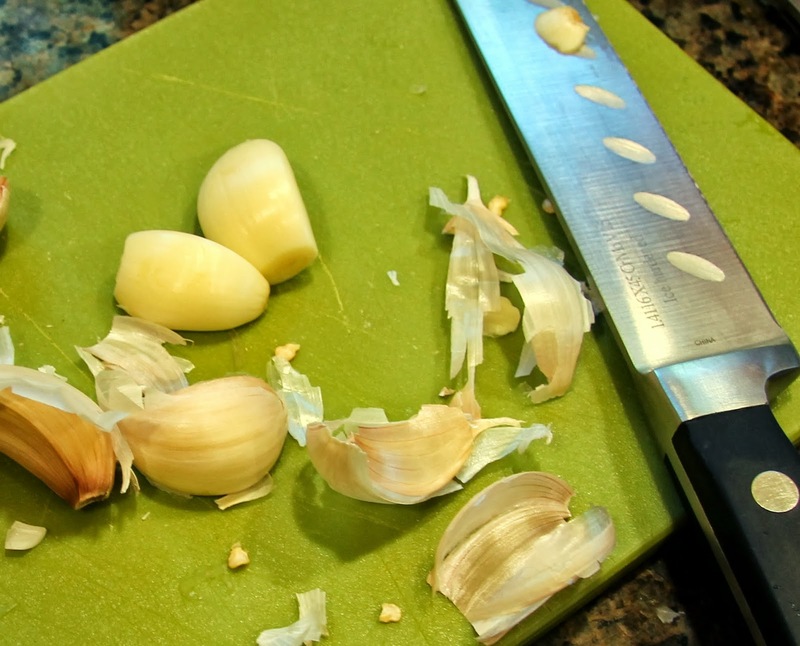 Peel garlic and cut in half lengthwise. 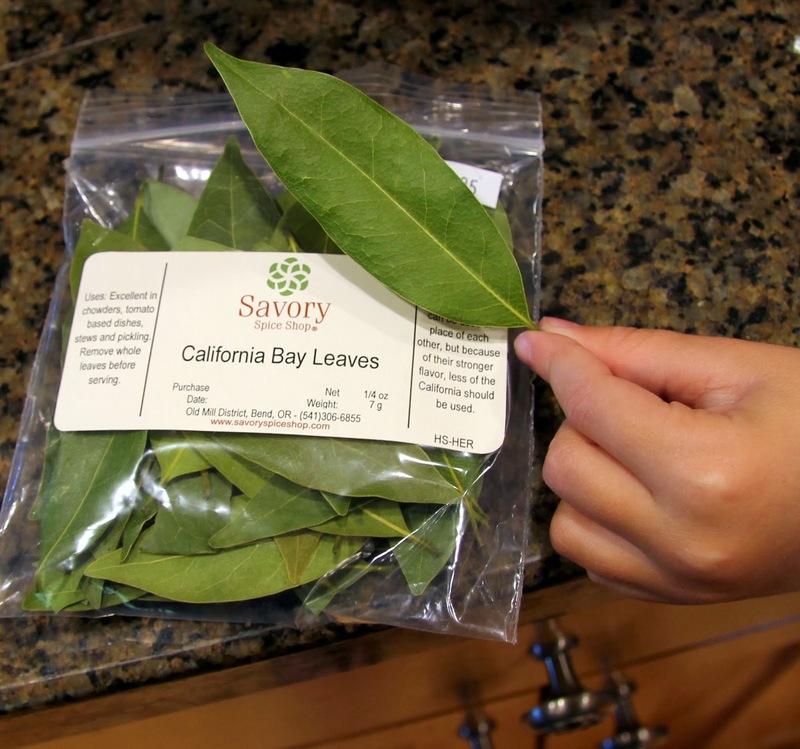 Pictured below are the California bay leaves I like to use. I find them at Savory Spice Shop here in Bend. They are a brighter green than common dried bay leaves (usually Turkish) and have a more potent, fresh flavor. I broke one in half to use in each jar of pickles. If you are using the more common bay leaf, use one whole leaf in each jar. 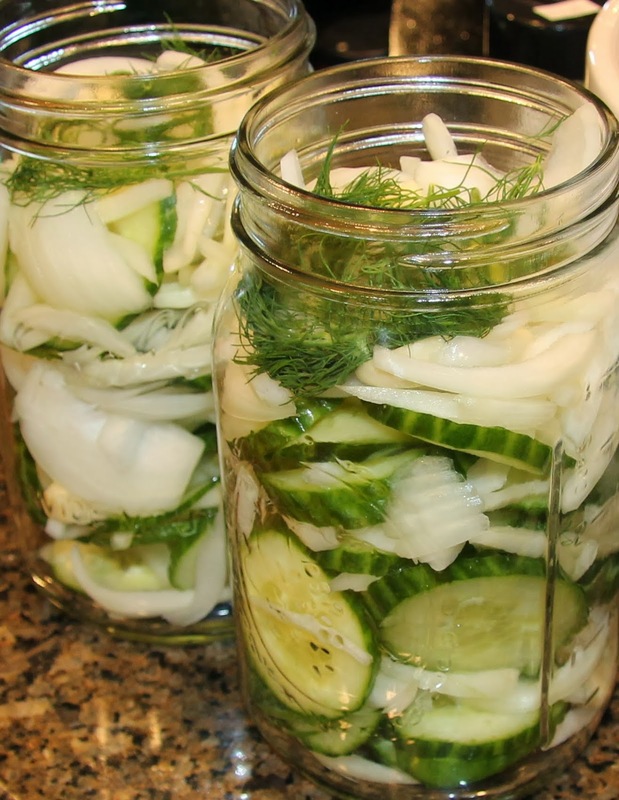 Layer cucumbers and onions with garlic, bay leaf and fresh dill. 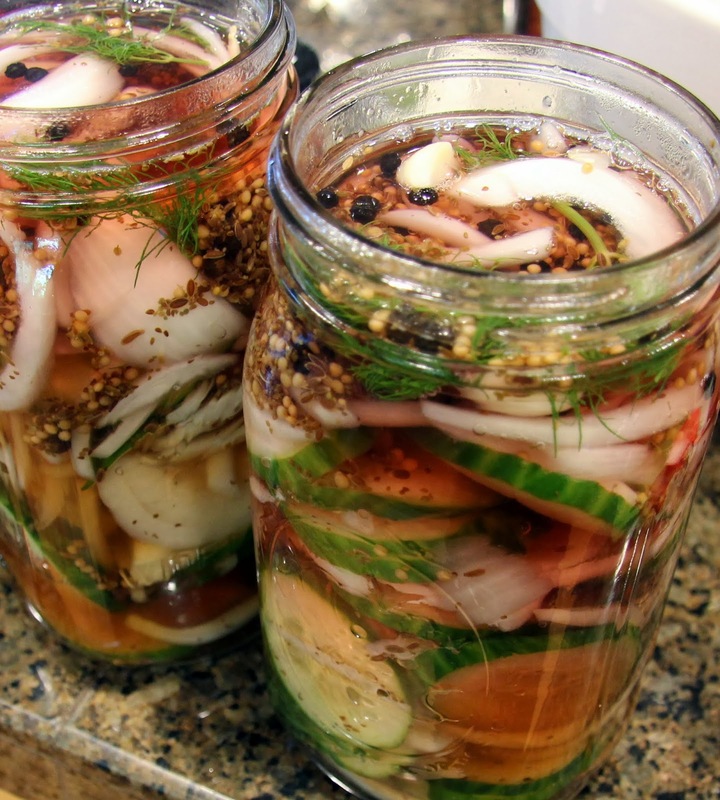 Fit a large mouth funnel into the top of the jar then pour the hot brine over the vegetables. 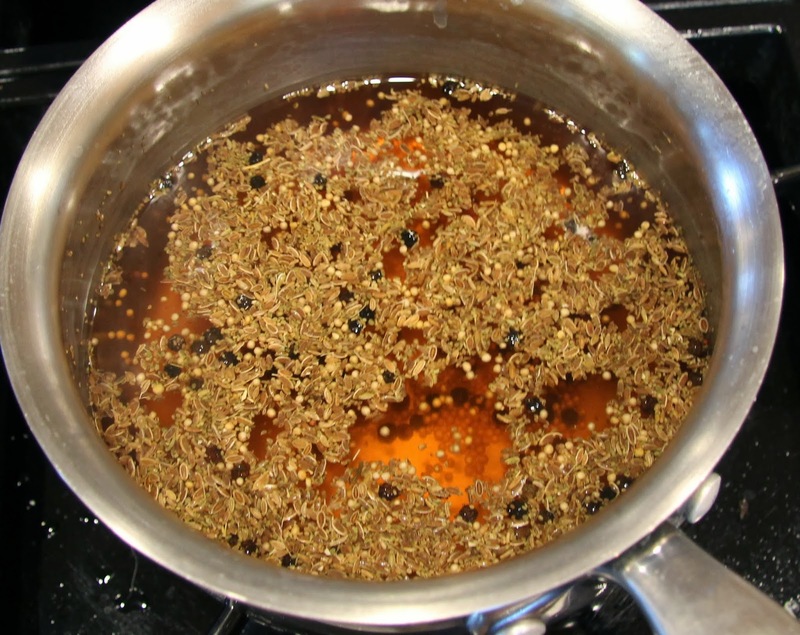 Leave a bit of head space (shown below) and equally divide the spices from the brine that will have settled in the bottom of the pan. Seal with lids and allow to cool before placing in the refrigerator. 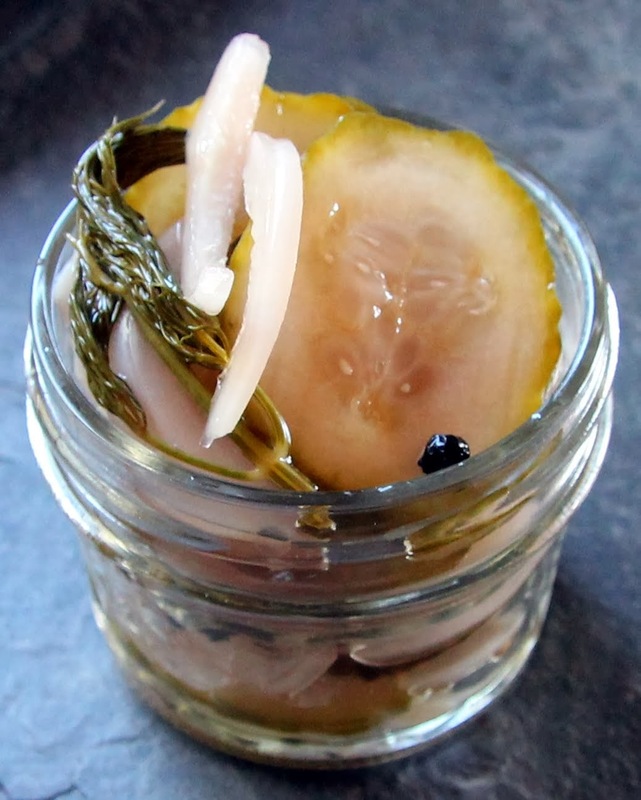 Give them at least a few days in the brine before serving them. They will keep, refrigerated, for at least a couple months.